If you live in a warm climate and have a frost free spot with a little sun and water, you’ll be able to grow your own ginger. 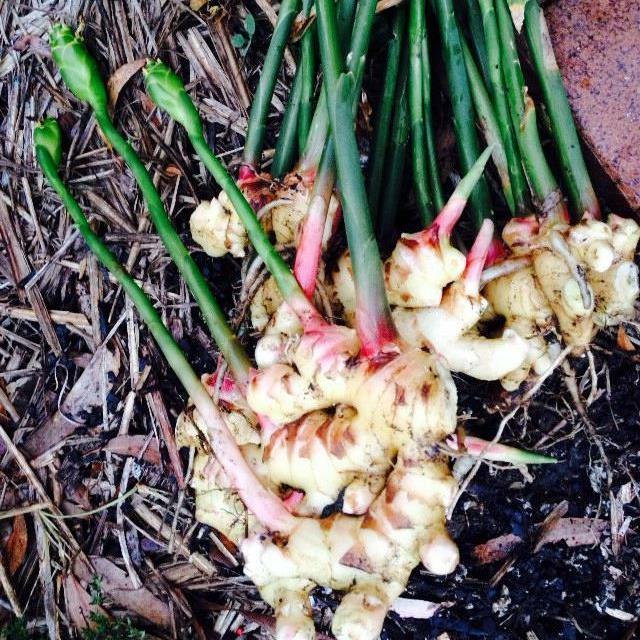 I’m always a bit gobsmacked when I go to the Organic grocery stores and see fresh ginger root for $30-$50 per kilo when I know we could all be growing heaps of it easily at home, even in the smallest garden. 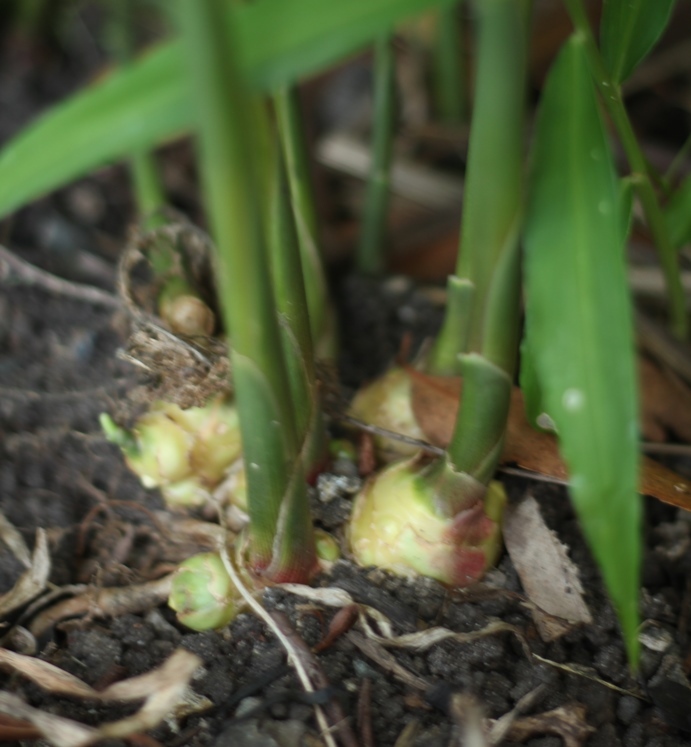 So, I thought that I’d share the ‘how to’ of growing ginger with you and some of my favourite, quick recipes for using it. And just in case you were wondering, ginger is a wonderful medicinal plant too. 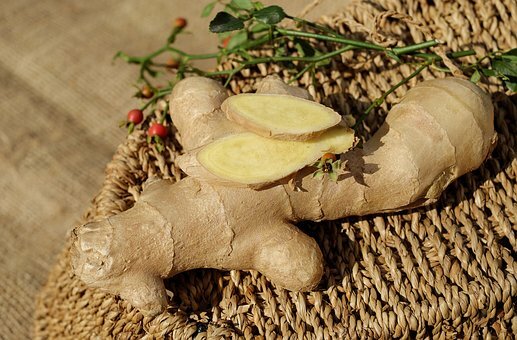 Its uses dried or as fresh roots, range from ginger tea to help relieve nausea, probably due in part to its ability to increase gastric emptying. It has been used as a mucilaginan to break up mucousy coughs and chest colds, as a digestive aid in stimulating the production of digestive enzymes, as a pain and arthritis reliever and it inhibits the production of prostaglandins associated with joint pain and arthritis. While there are many forms of ginger, the culinary ginger grows to about 50-60cm tall and is a lovely plant with a spike of fine leaves, that are attractive in any tropical garden. It produces pale cream flowers in summer which are edible, and can be picked for vase display. The flowers are held low within the foliage rather than sitting above the leaves. 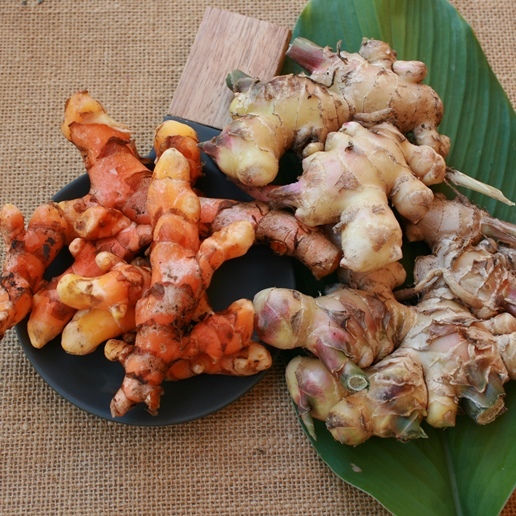 Ginger has a wonderful, concentrated flavour in the roots and is most succulent when harvested fresh. The new roots are crisp and mild in flavour with thin skin that only needs a scrub before use. The older ginger roots from plants 9 months old or older, develop thicker skin that needs to be peeled off before use. This older ginger is more pungent in flavour and is usually used for drying. 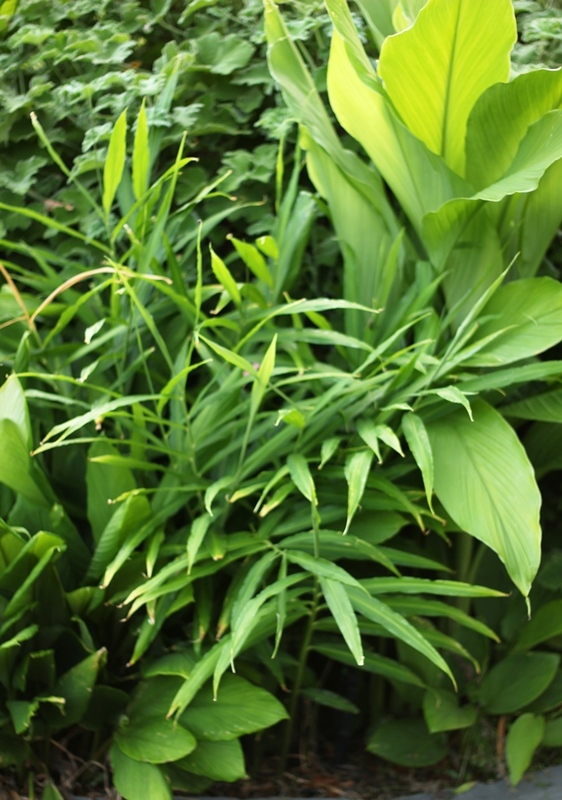 Ginger will grow in full sun or part shade. and can be grown in a pot or in the ground. Soft, fertile soil with plenty of moisture is the best growing media for good big root production. You can grow ginger in a pot, but add extra fertiliser and a saucer to keep the moisture up to the roots. A large pot is required, about 30 cm deep and equally as wide if you are going down the pot road. To prepare the area or pot for growing, add a fresh application of Instant Humus, Fulvic Acid (from me) and Organic manure or manure based fertilisers to the bed in which it is to grow. Plant small pieces about the length of your little finger, into soil or potting mix, and cover with 4 cm layer of soil. The pieces need to be about 20-30 cm apart for root development. If your piece of ginger already has a bud, make sure this is facing up when you plant. Mulch and water in well. Ginger is a tropical plant and will need a warm climate with humid, wet summers and cooler dryish winters in order to flourish. Place the pot or choose a garden bed that gets full to half sun and plenty of water. The ginger pieces will take up to a month to sprout, but then the plant will get quite a hurry on and begin to develop lots of leaves over the warmer months. As soon as leaves begin to form, apply liquid fertiliser about monthly for a beautiful show of flowers and the development of fat, juicy roots. Don’t let it ever dry out completely in the ground/pot over winter or it will wither away. In late autumn as the leaves are browning off, lift the whole plant using a garden fork, being careful to remove the roots in a clump. 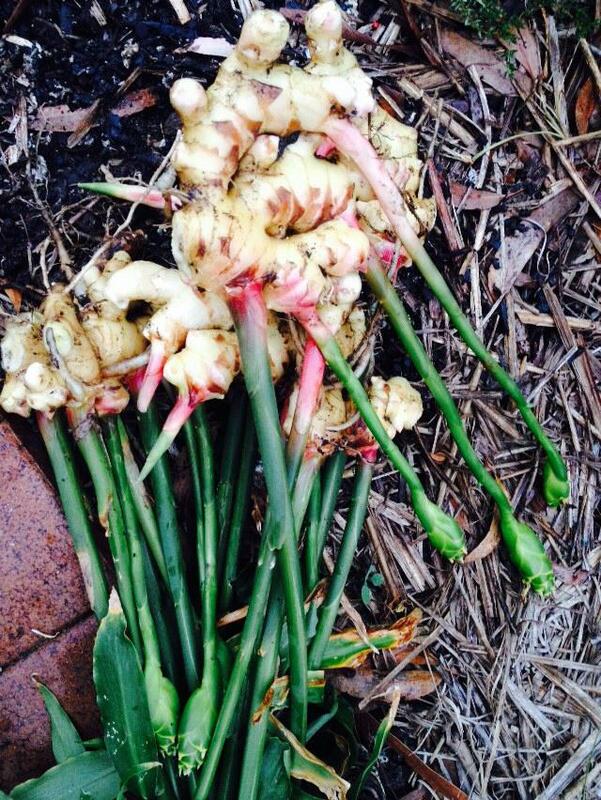 Culinary ginger is deciduous, so will die down completely in winter. If you haven’t used it all, it can be left in situ to grow again next season, or to harvest from over the cooler months. I move the spot for my ginger each year to avoid root disease. If in a pot, change the potting mix annually and enrich it with items outlined above. For my favourite ways to use ginger, click here. You’ll be whizzed over to the recipes page.